Gentle but highly strung, Janet must support her Afrikaner husband in his new job as a plain-clothes policeman and specialist interrogator. Hector-Jan heads off to work on New Year's Day, aware that he is unbearably close to a bloody drama about to unfold. As Janet's world tightens and threatens to fracture, she must look to her children and cling to the support of Alice, her black maid, and Solomon, her ever-faithful gardener. All too conscious of her own emotional fragility, Janet watches her mother slip into the folds of "Old Timers" disease, and next door, the lurking, unfathomable Doug is up to no good. As the crack in the swimming pool widens, can Janet bridge the gaps that threaten them all? 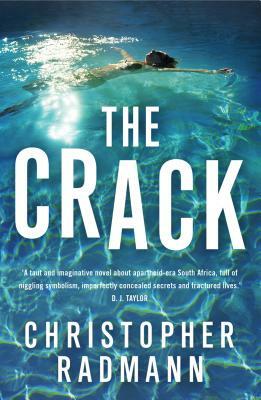 Written with tenderness and disquieting power, The Crack exposes a brutal center that cannot hold, revealing how, in apartheid South Africa, things must crack and fall apart. A native of South Africa, Christopher Radmann has lived in the U.K. for the last 12 years. The head of Sixth Form and English at a boarding school, he lives in Hampshire, U.K.